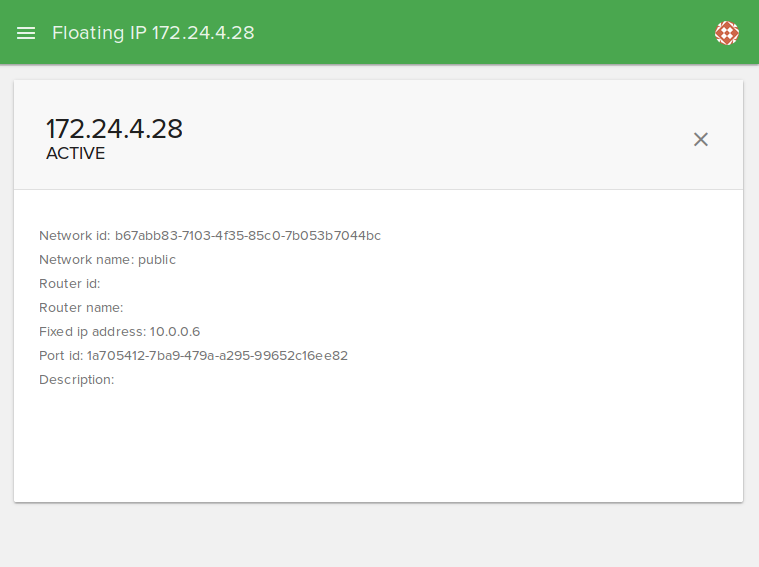 To add a floating IP key, click on the plus (+) button from the bottom right. Network: Select an external network. 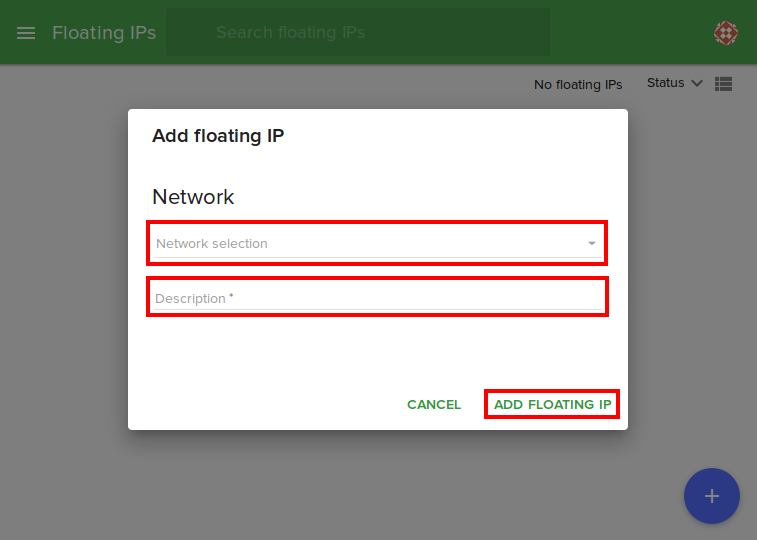 Description: Type a description for the floating IP. 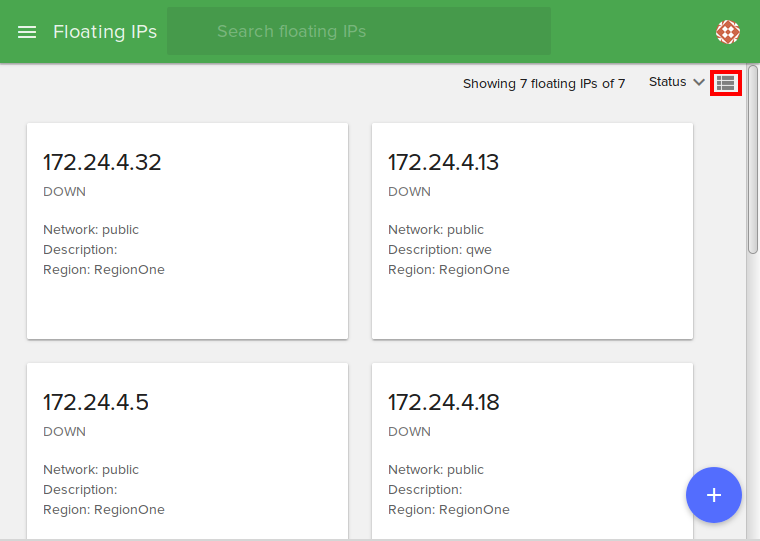 To search a floating IP from your dashboard, type the IP in the search box from the top of the floating ip page. This is the card view. To switch to list view press the highlighted button. This is the list view. To switch back to card view press the highlighted button. 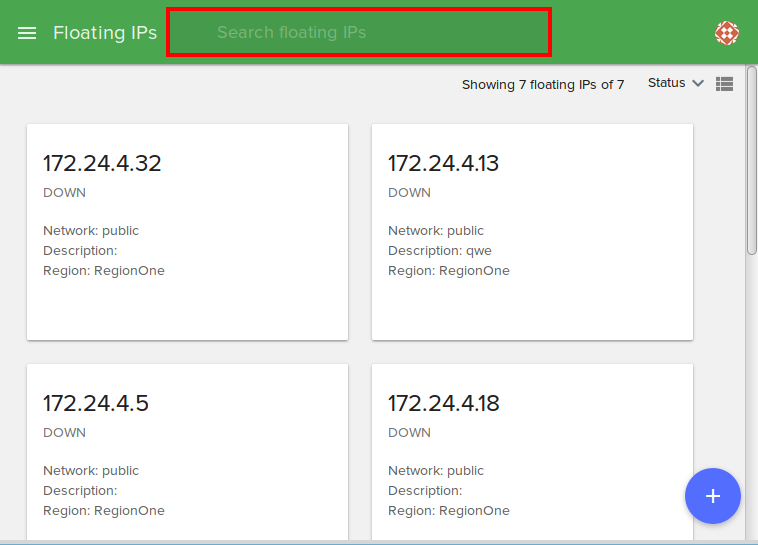 To remove a floating IP you have to identify it in the dashboard and select Delete. 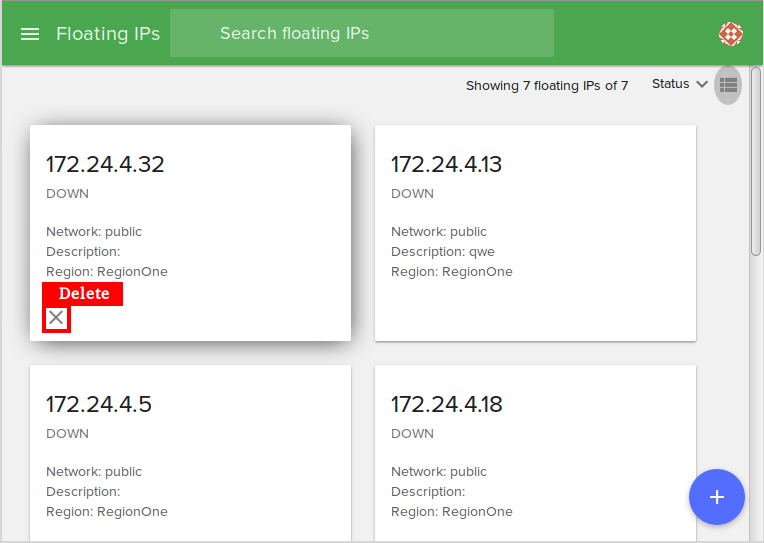 Click on a floating IP. 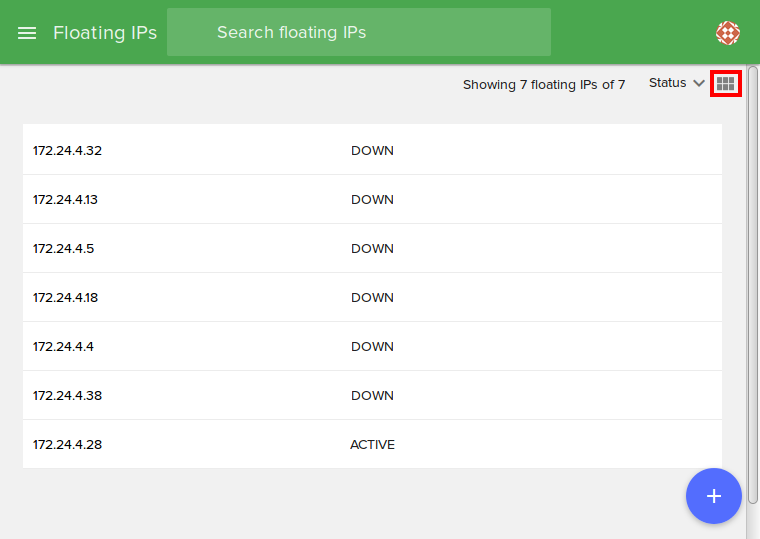 Here you can see all the details from the floating IP.